One morning she and I simultaneously climbed out of our vans, side-by-side in the parking lot, said good-bye to our kids, grabbed our multiple totes of stuff (teachers were the original bag ladies, you know), and headed to our classrooms. And in the split second before she answered her own question, I thought, Hallelujah! Nancy, with all her wisdom, common sense, and problem-solving skills has an idea to lighten our loads! I burst out in a very unladylike guffaw. You see, neither one of us had yet completed that step of our morning routine. 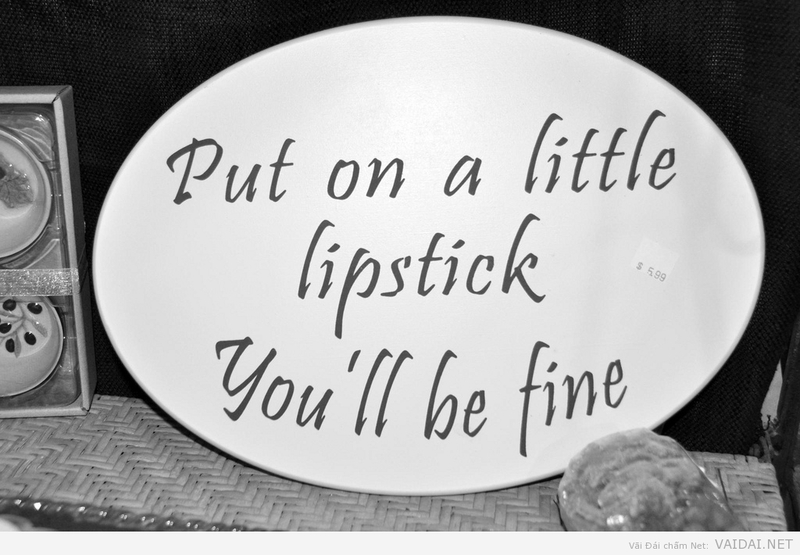 And though life does go better lipstick (as most women would agree), it does fall short of erasing to-do-list chores. 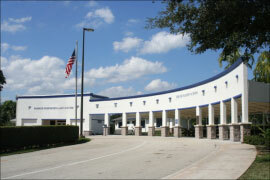 Nonetheless, as I entered my classroom that morning, the tension in my spirit and shoulders was erased. I felt renewed, powered up to face the challenges of the day. Nancy’s humorous comment had indeed lightened my load—at least attitudinally. Verse 1: “The joy of the Lord is our strength” (Nehemiah 8:10c, repeated four times). 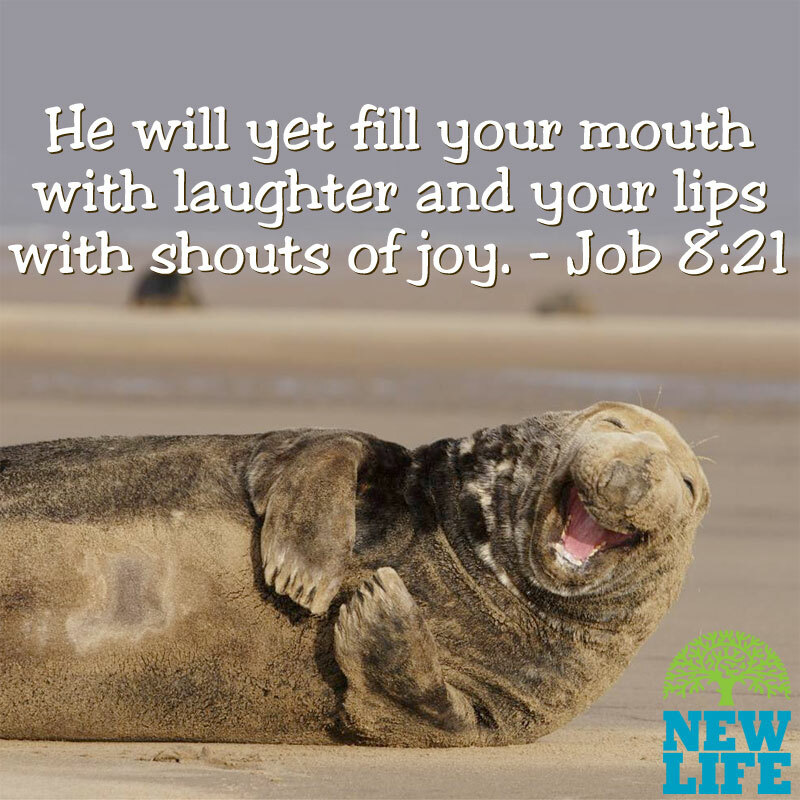 Verse 2: “If you want joy you must laugh for it” (4 times). Verse 3: “Ha-ha-ha-ha-ha-ha-ha-ha-ha-ha-ha-ha” (4 times). Who could finish a song like that without a genuine case of the giggles? Laughter works wonders to stir up happiness, contentment, and even improved health. And the medicine is all the more powerful when enjoyed in pleasant company. With improved health may very well come longer life. Besides laughter, another ingredient for that cheerful-heart medicine is: trust. 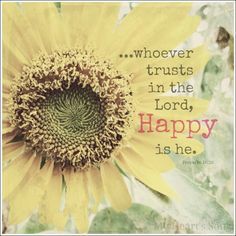 Completely trustworthy, never forsaking those who seek him (Psalm 9:10). Gracious, surrounding us with his favor (Psalm 5:12). Wise, making known to us the path of life (Psalm 16:11). Loving, preparing our eternal home in heaven (John 14:2). Childlike trust in God allows us to relax and enjoy childlike fun–even exuberant hilarity, belly laughs and irrepressible giggles. 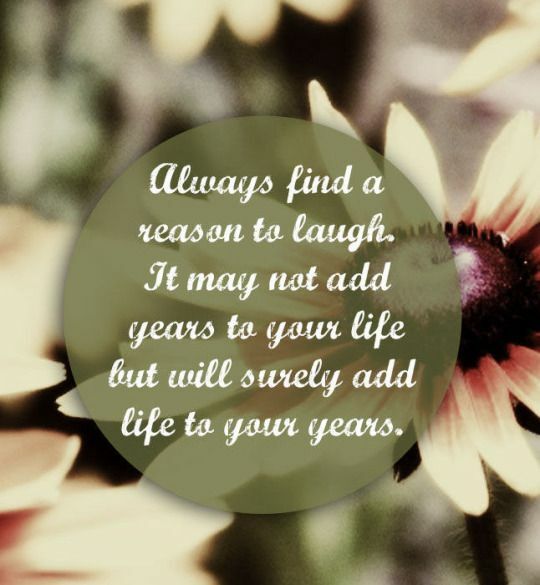 So look for laughter. It’s everywhere! She was headed out the door to see a massage therapist for her aching neck. “Where are you going?” asked her daughter, Elena. 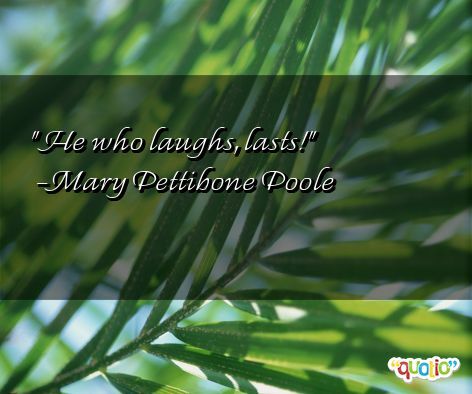 Where has laughter and good cheer provided therapeutic medicine for you this week? Please share in the comments below. Laughter shared is multiplied! Nancy, what a delightful article. Our twelve month old, Emily, has a very hearty laugh. She laughs constantly. Being around her is very contagious and inspiring indeed. We all need it and love it. Thank you, Ruth. 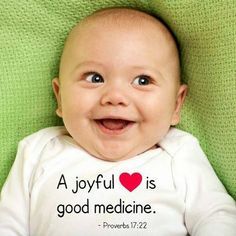 You are so right–the laughter of a baby is especially delightful! There seems to be humor even in the darkest situations. You’re right, Samuel. One of God’s gifts to us is the ability to laugh even when we’re hurting! So glad to give you a smile, maybe even a chuckle, Jean! Good timing. As I see my Dad fading away from this world it is hard not to be depressed. The section on ‘TRUST’ that you wrote was very uplifting and helpful! My heart aches for you, dear Cheri. Praise God you found this post uplifting and helpful during these difficult days.